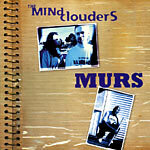 Split single with Murs and the Mindclouders, flossing two cuts each plus instrumentals! Could you really ask for more? 'It Will' is a vinyl only cut. Open copy, played in our store. Very good plus condition for the vinyl. Original picture cover, near mint condition.